This morning we left Latacunga to go to Baños. 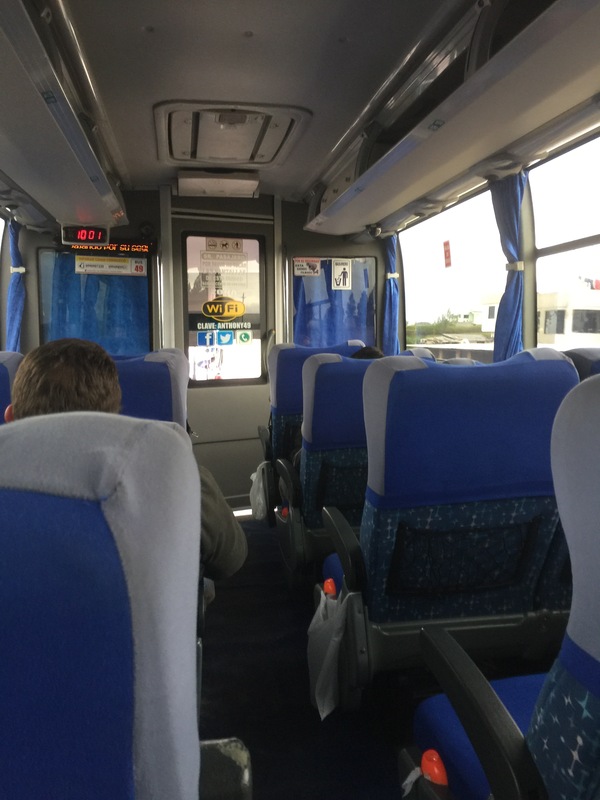 We took a taxi out to the Pan American Highway where we caught an express bus to Baños. The bus was very similar to our last bus but they weren’t showing a movie. They did however have free wifi. 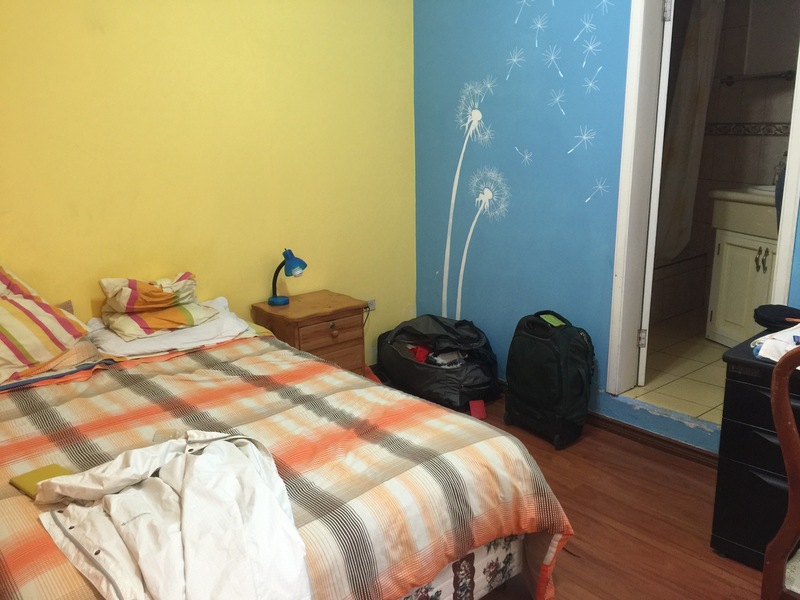 In Baños we are staying in a flat share owned by the woman who runs the Spanish language school we will be taking classes at for the next five days. 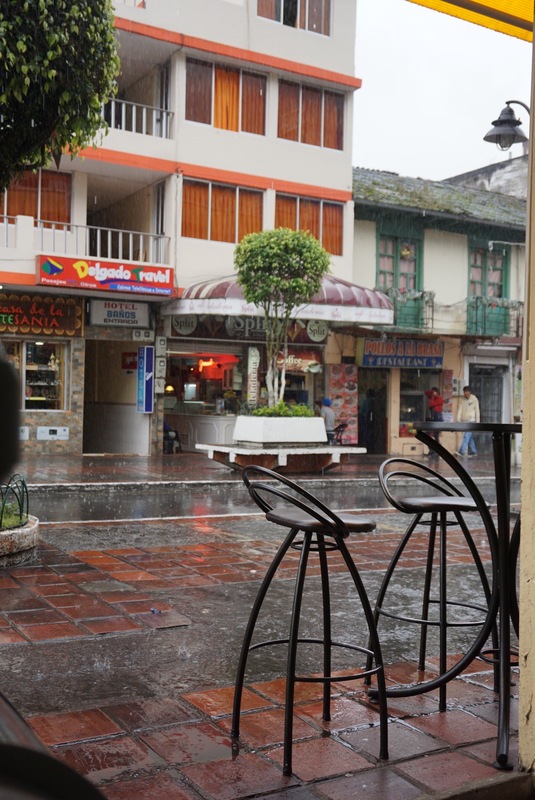 We explored Baños a bit in the rain. 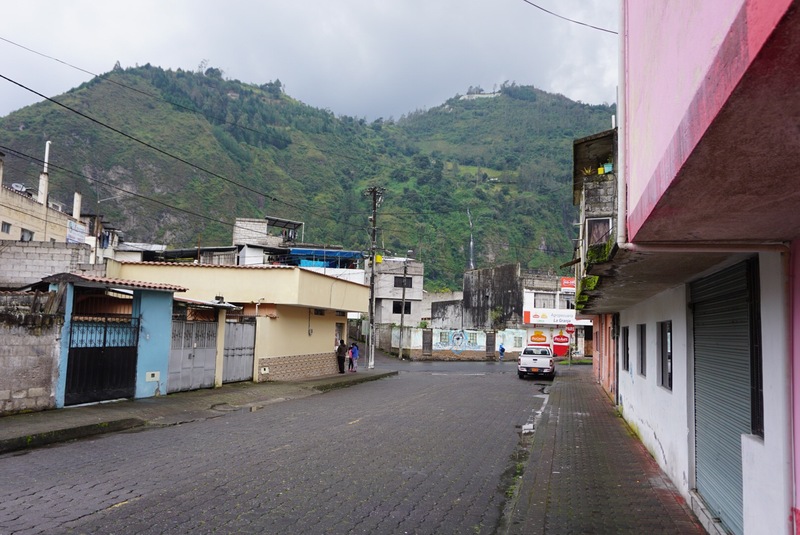 Baños is a small town surrounded by towering mountains. In the picture below which is taken right outside our accommodations you can just see a waterfall. We stopped for an afternoon snack of coffee and a crepe to get out of the rain. By the time we went to dinner the rain had stopped. 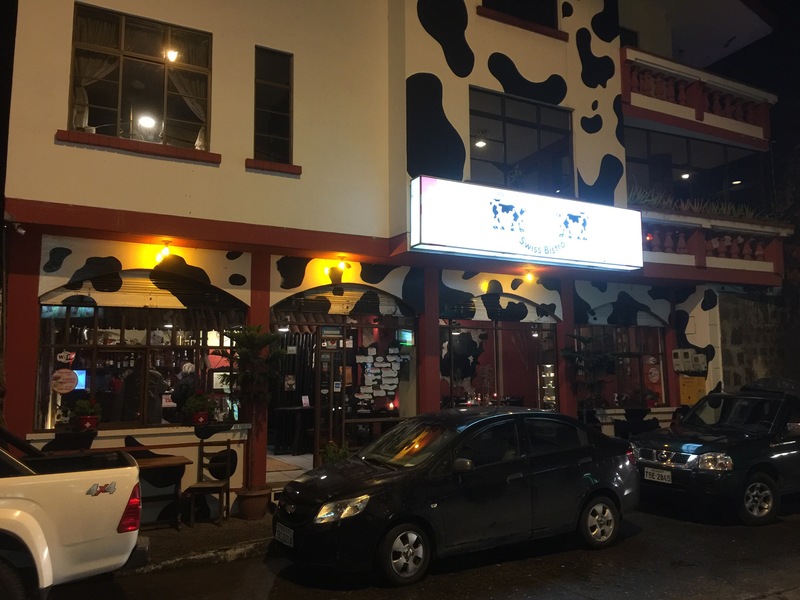 We ate at a Swiss restaurant. 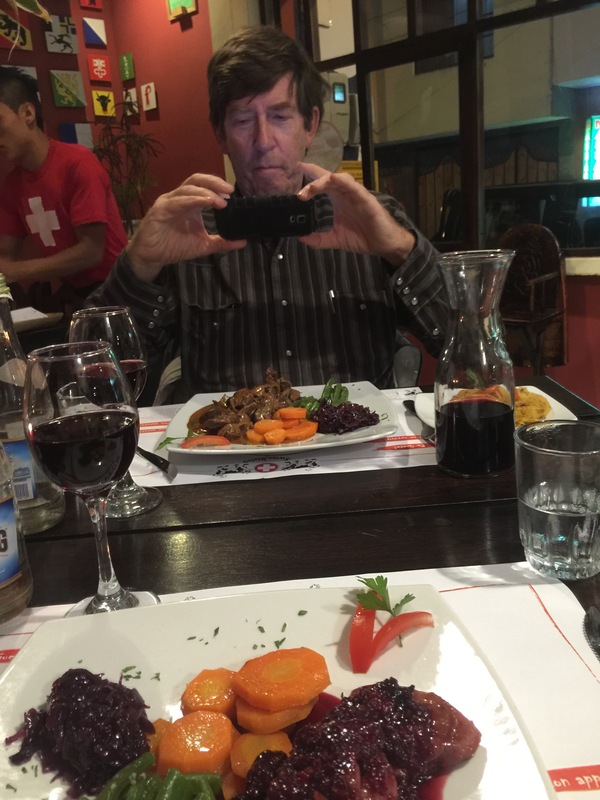 I had a wonderful pork tenderloin in raspberry sauce and Duke had beef stroganoff. Tomorrow our classes start at 8am!